We all enjoy the fall months. The season comes with a variety of changes that are highly appealing to the senses. Examples include displays of beautiful colors in the scenery, and cooler air. As mentioned in Part 1 of our series last week, “Fall Pest Guide: Spiders”, when fall arrives, many pests become more prevalent. By becoming familiar with the pests that are most likely to invade your property and your home, you will be better able to prepare and avoid the complications that come with the invasions. This week, we are going to focus on mice. Be sure to bookmark us and continue following this series to learn about the most common fall pests. As autumn returns, the cooler air may encourage you to spend more time indoors; however, you will not be the only species seeking shelter from the colder nights and breezier days. There are many pests that will be heading indoors for protection from the elements and in search of food. These include mice. According to the owner of a professional pest control company, Robin Wilkes, there is absolutely no home in the United States that is 100% protected against an invasion of mice. In fact, this individual states that every home is either in close proximity to where mice live or is where mice currently reside. 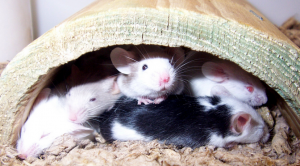 Mice are pesky little creatures that have the unique ability to invade your home in a variety of crafty ways. According to professionals, these creatures have the unique ability to squeeze into holes that are very small in size. They will attempt any means necessary to get to warm, dry inside regions and areas that have food sources. It is not at all uncommon for the pests to seek out cracks and crevices such as those around the foundation of your home, the crawl space of your home, and the areas in and around the roof. Even more frightening is the fact that mice have the ability to swim. These pests have been known to swim through sewer lines in order to invade homes.